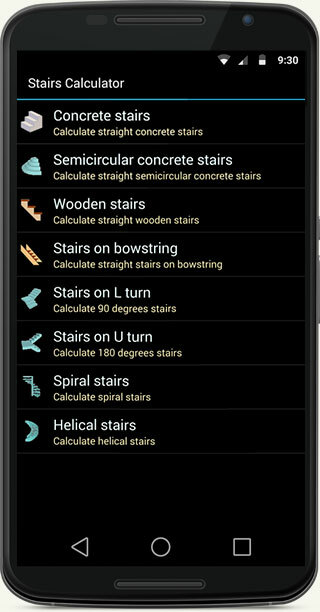 Stairs Calculator is the best all in one calculator for stairs. 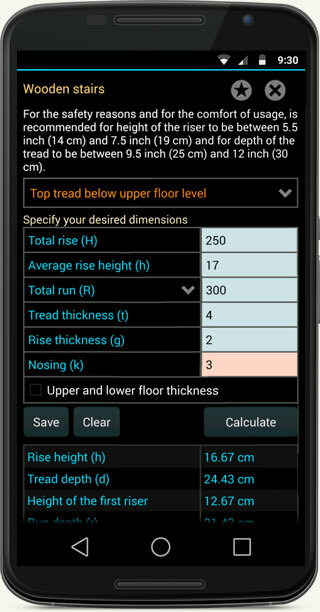 The most complete stairs calculator from the market for mobile devices. Give this one a try, you will never be disappointed. All you need for straight stairs, spiral staircase, wood stairs, stairs on stringer, or stairs in L and U turn, from wood or concrete fast and easy and is totally FREE. 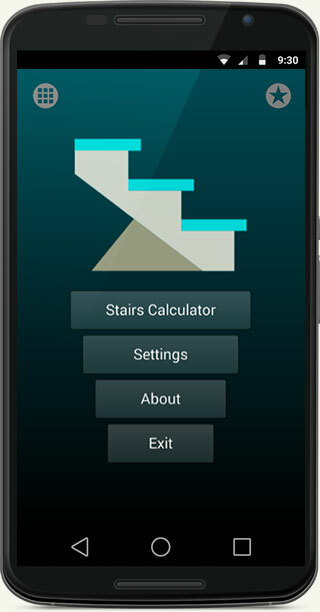 All in one stairs calculator for home use is the best stair calculator. Very useful for builders, handymen, contractors, architects, etc. 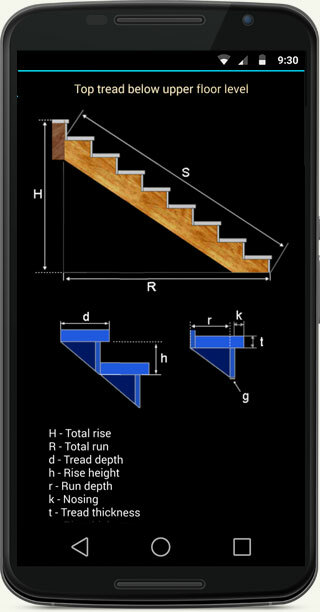 Detailed and accurate calculation of stair treads and risers, straight stairs, spiral staircase, stairs on L and U turn.